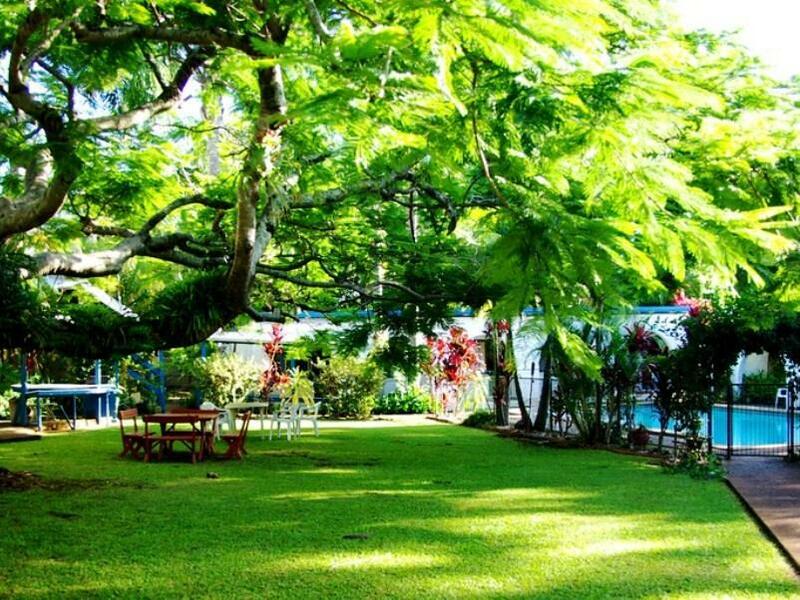 يشكل فندق Buderim Motor Inn بموقعه الممتاز في قلب هذه المنطقة الرائعة كنقطة انطلاق ممتازة لاستكشاف المدينة. يمكن من هنا للضيوف الاستمتاع بسهولة الوصول إلى كل ما تقدمه هذه المدينة النابضة بالحياة. يضفي محيط الفندق اللطيف وقربه من أكثر المعالم السياحية جذبًا سحرًا خاصًا على هذا الفندق. إن Buderim Motor Inn حريص على توفير الراحة للنزلاء، فلا يوفر الموظفون جهداً في تقديم أفضل الخدمات وضمان حسن الاستقبال. يقدم هذا الفندق العديد من الخدمات الكفيلة بإرضاء أكثر الضيوف تطلباً. لقد جهزت هذه الإقامة الفندقية بعناية فائقة لتوفر مستوى عالي من الراحة. في بعض الغرف يجد النزيل اتصال لاسلكي بالإنترنت, غرف لغير المدخنين, تدفئة, ميني بار, شرفة/ تراس. إن مسار جولف - ضمن 3 كم, حمام سباحة خارجي, حديقة هو المكان الأمثل في الفندق للاسترخاء وتفريغ طاقتك بعد نهار طويل. مهما كانت دواعي سفرك فإن Buderim Motor Inn هو خيار ممتاز لإقامتك في المدينة. typical old fashioned motor inn. price reasonable for simply to sleep & shower. good distance to Sippy Downs Uni and easy to get to Buderium and around and I don't get lost . Was clean enough. But very old and then I’m down place. I wouldn’t stay any longer then a night not comfortable enough for long stay. Photos very misleading, Sorry, but the place is old and worn out and falling down. Tiles missing in the bathroom leaving yukky black grout, is just the beginning. I could see the owners /managers were trying. But too late, cut your losses, bulldoze the lot and start again. The hotel seemed more like a halfway house. Was incredibly annoying being bombarded by annoying children in the pool with their parents drinking and smoking inside the pool gates. There are a lot of intimidating looking permanent residents as well. This hotel is feral. I didn't like how the bathroom was inter-connected with the bedroom, and there was no WIFI connection or mobile phone connection in the room. other then that the place is quiet nice with friendly staff. Leaving leaving leaving The room was falling to bits and very tired. In need of total renovation or demolition. Central to where I needed to be. Reasonably priced. Owner very obliging. It served its purpose very well for my needs over the weekend. The only good thing about this place was the bed was comfortable . The room was full of dust had to go and buy some wipes and clean the dust of everything was inches thick. the curtains didn't fit the windows the air con is so noisy and old no one could use it at night. The bedspread was all tattered and torn. Extra pillows were dirty with blood or something on them and the bed lines wasn't even clean. sheets were see through. There was no fire alarm in room which was our room and in my daughters room the fire alarm was there but not connected up. People in the next room booked for three nights but left after the first. the rooms are nothing like the pictures and are very dated with saloon doors in the bathroom but no lighting. The carpet is so old it has many worn patches through to the concrete floor underneath . The road down to the rooms you need a four wheel drive as it full of very deep ruts and holes and is dirt and stones. We all ended up sick with sinus from this place. they say it has air con but it so old it is noisy and rattly and the fan doesn't work very well either. The whole place needs an updated renovation\ My advice is keep driving to else where !!! My daughter and I enjoyed staying here. Being visitors to the country, we wanted to visit the Eumundi market and beach, both were not too far away. 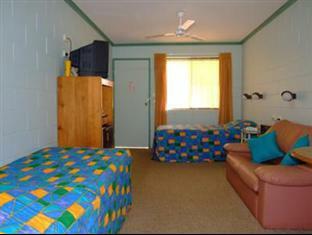 The staff was friendly and the room was very clean and comfortable. We would recommend this Inn to visitors to the area. Enjoyed stay. 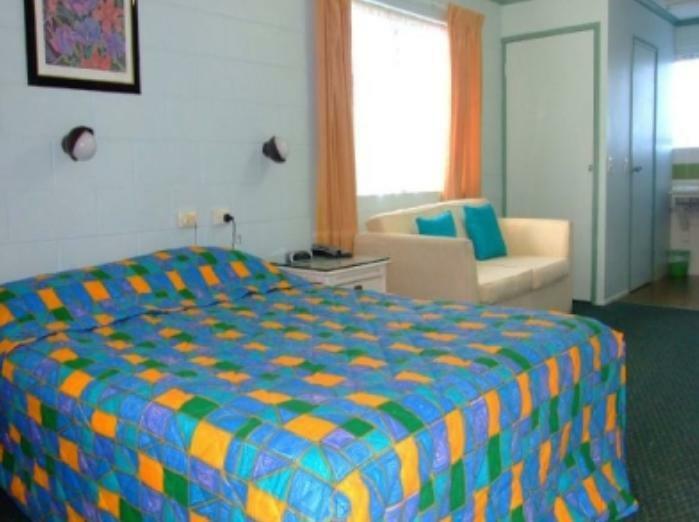 Buderim Motor Inn was a pleasant and very clean place to stay. It is centeral to most things on the Sunshine Coast.